The proposal is aimed at encouraging faster development of local content Tumwebaze said. 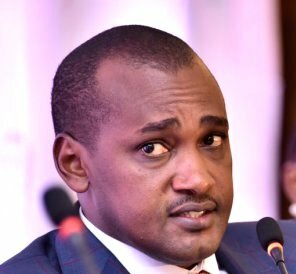 April 6, 2018—Frank Tumwebaze, the ICT minister, has said a proposal by President Yoweri Museveni to tax users of social media applications is aimed at discouraging excessive consumption of external content and promoting local alternatives. “What’s up and Facebook are external products. Ugandans who are gladly using it are only consumers and are indirectly making the developers of these applications very rich. These applications are more of a luxury than a need so we are going to be taxing your consumption of the application,” Tumwebaze said. Tumwebaze said the President’s proposal is ‘brilliant’ and long overdue, however if implemented will not affect internet or information access as insinuated by those against the proposal. He said the government would wish to see Ugandans coming up and developing their own local applications which will then be not taxed like China is doing with WeChat instead of using WhatsApp. He added that the tax will not be double taxation because they are not taxing internet which is just an enabler, but taxing the social media applications. He said this will not affect other applications like Google.